Jh&amacr;na — a progressive series of meditative states of absorption — is a controversial topic in Buddhism. This should be rather amazing given that the Buddhist scriptures emphasize jh&amacr;na so strongly. In the Eightfold Path, Right Concentration is consistently defined as the four jh&amacr;nas. The Buddha said things like “There is no jh&amacr;na for him who lacks insight, and no insight for him who lacks jh&amacr;na.” The jh&amacr;nas are enumerated over and over again in the P&amacr;li scriptures. They’re also implicit in teachings like the Seven Bojjhaṅgas, the 12 positive nid&amacr;nas, and the &Amacr;n&amacr;p&amacr;nasati Sutta, which mention various of the jh&amacr;na factors. First, there’s the assumption that &Amacr;l&amacr;ra and Uddaka taught the Buddha the four jh&amacr;nas. Now, the Buddha never mentions that he learned or practiced the jh&amacr;nas with his two teachers. He says that he learned to attain the “sphere of nothingness” (&amacr;kiñcañña-&amacr;yatana — I prefer “no-thingness” as a translation) from &Amacr;l&amacr;ra Kalama, and the “sphere of neither perception nor non-perception” (nevasaññ&amacr;n&amacr;sañña-&amacr;yatana) from Uddaka Ramaputta. (Uddaka had apparently not experienced this himself, and was merely passing on Rama’s teaching). “But,” many Buddhists will object, “if &Amacr;l&amacr;ra and Uddaka taught the Buddha how to attain these spheres, then they must also have taught the Buddha how to attain jh&amacr;na, since these spheres are the seventh and eighth jh&amacr;nas — part of the four ‘formless jh&amacr;nas’ that follow on from the four ‘jh&amacr;nas of form. '” (The first two “formless jh&amacr;nas” are the sphere of infinite space and the sphere of infinite consciousness.) But this is the very error that I am keen to address. Now this is important, because the four formless spheres are in fact not jh&amacr;nas at all. Many meditators have discovered that it’s possible to experience these formless spheres without having first gone through the jh&amacr;nas. There has been much confusion for some who have had such experiences, because the assumption that the &amacr;yatanas can’t be experienced without first having traversed the jh&amacr;nas is so prevalent. I am in fact one of the many people who has experienced that confusion. There are suttas in which there is reference to experiencing the &amacr;yatanas without first going through the jh&amacr;nas. Most people would tend to assume that in these suttas the jh&amacr;nas are assumed, without being mentioned explicitly, but there’s no need to make that assumption, and experience shows it to be false. Certain forms of meditation predispose to direct experience of the &amacr;yatanas. Suttas discussing the six element practice and the divine abidings show those meditations leading directly to the formless spheres. I don’t disagree that it’s possible to reach the &amacr;yatanas via the jh&amacr;nas, but there are other ways. That’s a strong statement. The Buddha had not just a hunch, or an idea, but an actual realization that jh&amacr;na is the way to Awakening. Now, many people have struggled to make sense of this episode. The Buddha had previously attained the seventh and eighth “jh&amacr;nas” (in reality the third and fourth &amacr;yatanas) under Uddaka and &Amacr;l&amacr;ra’s instructions, so how could a memory of first jh&amacr;na be so significant in pointing the way to Awakening? All sorts of explanations for this apparent contradiction have been made, but the simplest is one that may be least obvious: that the Buddha had not in fact previously explored the jh&amacr;nas with &Amacr;l&amacr;ra and Uddaka, and that he had explored the &amacr;yatanas through means other than by going through the jh&amacr;nas. Confusion arises because we’re so conditioned by the commentarial belief that to enter the &amacr;yatanas we must first go through the jh&amacr;nas, that we assume that the Buddha must have had experience of the jh&amacr;nas. I see the jh&amacr;nas and the &amacr;yatanas arising in different ways. Jh&amacr;na involves paying more and more attention to less and less. In going deeper into jh&amacr;na we progressively “tune out” first our thinking, then the pleasurable sensations that arise in the body as we relax, and finally joy. This leaves only one-pointed attention on an object of attention, accompanied by a sense of great peace. Jh&amacr;na is a form of progressive simplification — more and more attention being focused on a smaller and smaller subset of our experience. The &amacr;yatanas involve the opposite approach. Rather than “homing in” our attention so that it’s focused on less and less of our experience, we allow our attention to be all-inclusive, excluding nothing from our awareness. Speaking of my own practice, when I enter the &amacr;yatanas, what I do is pay full attention to all of my experience: that which arises from within (thoughts, feelings, bodily sensations) and that which arises from outside (light, sound, space, etc.). I then maintain an awareness of both of these fields of experience, finding a point of balance of inner and outer. AS that balance is maintained, the mind becomes very still. At a certain point, the boundary between “inside” and “outside” is lost, and there is simply a single field of awareness. This process is speeded up if I consciously focus on the supposed boundary between inside and outside. In meditation this boundary is perceived to be very fuzzy, and in fact, the closer you look at it the less it seems to exist. Later, other distinctions are lost as well, and there is a loss of the sense that the body has a three dimensional orientation in space. In the suttas, all of the entry points to the &amacr;yatanas have one thing in common: equanimity. The jh&amacr;nas culminate in an experience of equanimity; having narrowed down our experience and brought the mind to a state of peace, we then broaden our experience once again and enter the formless spheres. (Or so I am told; I have never entered the formless spheres this way.) The fourth divine abiding is of course equanimity, which is also a springboard to an experience of the &amacr;yatanas. And the sutta describing the six element practice says that it beings the mind to equanimity and thus into the &amacr;yatanas. The formless spheres can be experienced from any meditation that brings about a state of tranquil equanimity. The Buddha experienced the formless spheres to the furthest possible extent, but he didn’t manage to become enlightened by so doing. Instead, he intuited, jh&amacr;na was a more likely route to spiritual liberation. Why should this be? We can only speculate, but my sense is that the teachings of &Amacr;l&amacr;ra and Uddaka explained the &amacr;yatanas in terms of unifying oneself with the wider universe. In the &amacr;yatanas, certain discriminative faculties — those that produce a sense of spacial separateness — are progressively shut down. (These faculties are a function of the brain’s parietal lobes, which become less active in non-dual meditation.) This sense of religious union would fit with pre-Buddhist views of there being an atman (Self) that is part of a larger “Brahman” (a cosmic reality). &Amacr;l&amacr;ra and Uddaka may not have used those precise terms, but a sense of unity with the cosmos is a common religious trope, and it’s reasonable to assume that they saw that experience as the desired outcome of practice. What does jh&amacr;na do? What is its function? It allows us to focus in exquisite detail on minute aspects of our experience. And that allows us to see that everything that constitutes the self — or what we take to be the self — is in fact an experience that is changing moment by moment. By repeating this minute examination of our experience, we come to the realization that there is no possibility of there being a separate self that needs to be unified with the cosmos. I tell you, friend, that it is not possible by traveling to know or see or reach a far end of the cosmos where one does not take birth, age, die, pass away, or reappear. But at the same time, I tell you that there is no making an end of suffering and stress without reaching the end of the cosmos. Yet it is just within this fathom-long body, with its perception & intellect, that I declare that there is the cosmos, the origination of the cosmos, the cessation of the cosmos, and the path of practice leading to the cessation of the cosmos. Although we would often like the Buddha to be like a modern scientist, in some important respects he wasn’t. He didn’t seem particularly interested in what we would think of “cosmic” questions, and in fact saw them as distractions from the spiritual life. After all, at the Buddha’s time, when it came to questions of whether the universe was finite or infinite, had a beginning or was eternal, etc., there was no possibility of doing more than speculating. These cosmic topics are all matters that the Buddha thought of as being useless subjects for discussion. Rather than indulging in speculation, he preferred to put his attention onto matters where he could have knowledge arising from direct observation. In that regard he did, in an important sense, take a scientific approach. And his work was akin to that of a scientist who finds that in order to understand the nature of stars, we must look at how subatomic particles behave. The way to understand our place in the cosmos, the Buddha was suggesting, is to examine ourselves. And this is what jh&amacr;na allows us to do. Jh&amacr;na supports insight. In the Buddha’s view, samatha (the cultivation of the jh&amacr;nas) and vipassan&amacr; (the cultivation of insight) were not mutually exclusive or antagonistic activities, which is how they are sometimes seen today. In the Samaññaphala Sutta, for example, the Buddha describes the practitioner moving deeper into the jh&amacr;nas and then, “With his mind thus concentrated, purified, and bright, unblemished, free from defects, pliant, malleable, steady, and attained to imperturbability, he directs and inclines it to knowledge and vision.” Jh&amacr;na makes it easier for the mind to observe impermanence through minute examination of our experience, and thus makes it easier for insight to arise. Conversely, insight also makes it easier for jh&amacr;na to arise, and so he says elsewhere, “There’s no jh&amacr;na For one with no wisdom (pañña), No wisdom for one with no jha&amacr;na).” Samatha and vipassan&amacr; are complementary and synergistic. But why, having failed to gain insight through the &amacr;yatanas, should the Buddha have kept them as part of his teaching? Wouldn’t it make more sense to jettison the formless spheres and focus exclusively on the jh&amacr;nas? I see two possible reasons for him doing this. 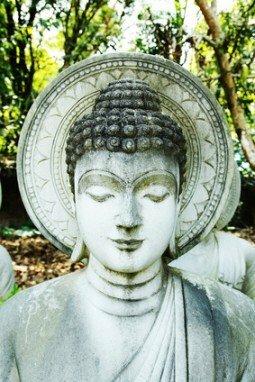 First, the assumptions that &Amacr;l&amacr;ra and Uddaka made about the &amacr;yatanas (that they were an experience of a permanent self uniting with the universe) may have been the main reason that the Buddha didn’t find them conducive to insight, assuming, as is likely, that he’d picked up on the same assumptions. Stripped of those assumptions, experience of the formless spheres, he may have reckoned, may be more spiritually useful. Second, the experience of the &amacr;yatanas, even if it doesn’t lead directly to insight, does a valuable job in changing our sense of self. Learning that our sense of self is malleable may not directly help us to lose our attachment to that self, but it does help us to loosen such attachments. There can be less grasping after something that is fluid and malleable rather than something that is solid. Experience of the &amacr;yatanas helps us to appreciate that our sense of self is not fixed, but can be dramatically different than it normally is. In my own experience, the altered states of self-perception that I experienced in the formless spheres did seem to have a bearing on my later experience of non-self. A parallel is to be found in that way that experience of psychedelic drugs has brought many people to Dharma practice. Having had the experience that their “normal” sense of reality is just one possible configuration of their experience can lead some to wonder what other modes of perception there might be. Psychedelics have even been used experimentally to help treat anxiety and depression — conditions that tend to involve a very fixed sense of self — sometimes bringing about long-term positive change very rapidly. So, the Buddha had no formal experience of the jh&amacr;nas until shortly before his awakening. He had not been trained in the jh&amacr;nas by &Amacr;l&amacr;ra and Uddaka, although he did have extensive experience of the &amacr;yatanas. The intuition that jh&amacr;na might be the way to Awakening was the beginning of a process whereby he began to explore his experience in minute detail, learning to observe its impermanence. And it was through this means that he became Awakened. It’s time to lay aside the notion that the &amacr;yatanas are jh&amacr;nas, and that they can only be experienced by traversing the jh&amacr;nas. It’s time also to lay aside the very non-traditional notion that the samatha (cultivating the jh&amacr;nas) and vipassan&amacr; (cultivating insight) are mutually antagonistic activities, and to recognize them as synergistic parts of one path. And lastly, it’s time to recognize the radicalness of the Buddha’s decision to turn his attention away from meditations that lead to an apparent unity of the self with the cosmos, the radicalness of using jh&amacr;na to hone the mind into a powerful focused instrument, and even the radicalness of refusing to settle for the blissful and peaceful experiences that arise in jh&amacr;na, so that he could enter into a minute examination of the nature of his experience and find that there was, in a sense, no self there. Rather than jh&amacr;na acting to “hide reality from the practitioner,” as Thich Nhat Hanh puts it, it is jh&amacr;na that allows us to lay reality bare, so that we may attain awakening. Right On! What you have written closely matches my experience and my understanding of the jhanas and the immaterial spheres. The one additional thing I would add is that we have no way of knowing when the Buddha learned the 4 jhanas – it might have been from his 2 teachers, it might have been some other time. But for for sure whatever he learned from his 2 teachers he rejected because the 3rd & 4th realms were seen by his teachers as the end of the path. The Buddha was genius enough to recognize both that these 2 states were not what he was seeking AND that nonetheless the jhanas and even the immaterial states we still useful – but only as a warmup exercise for investigating the nature of reality. Thanks, Leigh. I very much appreciate your comment. I think it’s interesting that the Buddha recollects an experience just of (just) first jhana. Perhaps this suggests that he hadn’t otherwise explored the jhanas. Also, I find it interesting that he describes a childhood experience rather than saying that he remembered some meditative experience he had while training under his teachers. This suggests to me that he probably hadn’t explored the jhanas with Uddaka or Alara. But we’ll likely never know where he learned the four jhanas. It’s all too easy to concoct stories from the scattered data we have available. Very astute analysis Bodhipaksa. It really helped clear up some confusions I had regarding why some practitioners reject the Jhanas even though the Buddha held them in such high regard. Thanks. I’m searching for answers with a recent experience. I’ve been practising Vipassana and Samatha regularly these few days and in my latest practice, I felt that I was extremely in tune with my breath, and everything fell into place smoothly. This is when i shifted my awareness from my breath to the now(or emptiness) and slowly I lose all my bodily sensations, I felt that my body was so light as though i’m floating, and following on I start to lose awareness of my surroundings. Emptiness feeling arises and the only bodily sensation that I could feel was my heart pumping. My palms became extremely hot and sweaty. At this point, I tried to contain my fear and persevered, gradually a feeling of infinite space starts to set in, this is where I freaked out and stopped meditating altogether. Could this be one of the formless spheres you have written in your article, and could you please advice on how to release fear. It’s sometimes hard to know what’s going on in another person’s experience. Some states that arise in meditation are so different from how we normally perceive things that it’s hard to describe them. It doesn’t help when the descriptions are contradictory, as yours is. For example you said ” the only bodily sensation that I could feel was my heart pumping.” Then you said “My palms became extremely hot and sweaty.” That’s a bodily sensation. So I don’t have a description that I can rely on. It’s possible that you were slipping into a formless sphere, but I can’t say for sure. Sorry. Regarding fear, that’s a huge question. Lovingkindness and mudita are particularly useful for overcoming fear. Mindfulness in daily life helps as well. Reflecting on impermanence helps, as does directly observing impermanence. And repeated exposure to that which scares us can also be helpful. So it may be that if you have a similar experience you’ll feel more at ease with it. By the way, if you’d like to make a donation to support our work, feel free. I realised that I’ve failed to realise that I’ve bodily sensations as well, thank you for highlighting that. I guess the state was still not matured and the mind was fluctuating in and out. I could not tell for sure either. Also, thank you for your insightful reply in regards to overcoming fear, I think the methods you mentioned are useful. I hope the advice turns out to be useful Brendan. No need for the “Venerable,” by the way. My ordination isn’t monastic. Yes, it’s possible that you were slipping in and out of a formless state, or the beginnings of one. What seems to be going on is that there’s reduced activity in the brain’s parietal lobes, which are responsible for maintaining a sense of orientation and spatial/temporal awareness. As activity there decreases, our normal sense of inside/outside diminishes. Sometimes the change seems to happen rapidly, and other times it’s more gradual, which may have been the case with your experience. Well said and wise, reasonable speculations about why the Buddha might did not learn jhanas from his two teachers. Do you have any idea what kind of specific technique he might use to enter the jhana when he was a child? Or he simply entered by accident? If there is technique, what was that be? If by accident, how could he regained from childhood experiences? Also, it was said that the Buddha passed away in the state of 4th jhana? How did we know it? There’s no way of knowing for sure what the Buddha did to get into jhana when he was a child, Jack. Perhaps he was paying attention to his breathing. We also don’t know for sure what the Buddha’s experience was when he died, just what tradition says. Would it be possible for an external observer to know that the Buddha was in 4th jh&amacr;na? I don’t know that either. It’s not impossible, I suppose, but it may be that in saying the Buddha died in 4th jh&amacr;na the tradition was simply emphasizing the Buddha’s self-control and the high regard with which they regarded jh&amacr;na experience. Dear Bodhipaksha, thanks so much for this thought provoking article. It has really helped me make more sense of an aspect of my experience that has been puzzling me ; the relationship between first 4 Jhanas and the ayatanas…which I was calling formless Jhanas, and their relationship to the arising of insight into the 3 Laksanas. I recognise the first 2 ayatanas in my experience ( and have appreciated Tara Brachs led meditations to access these) l also recognise access concentration and 1st Jhana in my experience but have been puzzled by the link between the 2. This sometimes sets up a conflict at the beginning of the meditation between what practise to do…concentration practice or open awareness practice. I am finding that metta practice in terms of Analayos approach …ie radiating boundless metta is helping me to bridge this sense of conflict. I begin by generating metta and directing it towards individuals for a short time then completely let go of doing anything other than allowing the metta to radiate in all directions. This in itself can lead into the formless spheres. From the formless practice I then find it easier to practise moving into 1st Jhana if I choose and use that as the basis to explore the 3 laksanas. Does that make sense? That makes perfect sense, Sraddhadipa. Where can I learn more about Analayo’s approach to metta, and how is it different from the standard 5th stage? Sraddhadipa’s description of using metta to move beyond the 4 jhanas and into the formless spheres is very much in line with this sutta. Bhante Vimalaramsi (abbott of Dhamma Sukha Meditation Center) talks extensively about this in his dhamma talks. That was very interesting. But why would he think of childhood and draw a line straight to an enlightenment that he hadn’t yet discovered ? I know the beauty or ecstasy of childhood is something widely recognised – Wordsworth’s Ode Intimations of Immortality from Recollections of Early Childhood springs to mind. But it’s quite a leap from childhood bliss to adult enlightenment isn’t it, especially if the end of the path was something original ? I don’t think I’m qualified to explain the Buddha’s thought processes, which he didn’t fully explain. Maybe even he didn’t know. After all, how does creativity happen? The connections take place at an unconscious level, and often only the end result is available to us. But one thing to note is that jhana experiences are a powerful basis for insight arising, not just because they’re states of concentration (which Gotama had already developed to a high degree) but because our experience of ourselves shifts from the perception of having a solid body to a physical experience characterized by ever-shifting patterns of energy (pleasurable energy, as it happens), and joy (which is perceived as an intangible field pervading the entire body). Anyway, may guess would be that part of the mind of the Buddha-to-be intuited that the way to peace was through dissolving away our sense of solidity and hence undermining our sense of having a fixed self. What a brilliant solution to this scriptural question. Like Sraddhadipa earlier in the comments, I also followed Analayo’s method in “Compassion and Emptiness” from the four Brahmaviharas into dabbling with the first immaterial sphere. I likewsie felt that at a certain point, as the jhana factors became strong, there was a choice whether to follow those themselves or else to return to the Brahmavihara sequence and on to the immaterial spheres. I don’t claim to have really achieved the latter, but several times when I tried my experience was similar to what you describe here, being able to touch with awareness or incorporate all beings that are extended in space, and when getting up and walking outside, the stars seeming to be right there and so on (quite reminiscent of experience with psychedelic drugs decades ago, now that you mention that comparison). This was interesting and encouraging to keep at it, but it did not at all seem to be moving closer to what is described as the actual goal (seeing dependent origination, stopping the construction of a self, etc). I don’t have a teacher to talk about these things with, so your article is incredibly helpful in explaining the place of the immaterial spheres in the teachings as a whole, that they are different in kind from the jhanas, not just jhanas of different number. Thank you for the article Bodhipaksa. Its was very appropriate to a recent discussion I had with someone where they declared that Jhana practice was a dead end. I pointed out that the Buddha exhorts the monks to practice jhana many times in the Suttas. TYhey respond by saying that he rejected jhana as taught by his former teachers. Your analysis seems very logical as I was puzzled by this apparent contradiction. “…even so, the monk permeates… this very body with the rapture & pleasure born of withdrawal. There is nothing of his entire body unpervaded by rapture & pleasure born from withdrawal…. Yes, for jhana to happen we have to start by being aware of the whole body. In fact that’s how I teach it. In particular we’re aware of the changes that take place all over the body as we breathe in and out. So we start off by being aware of 1) whatever mental activity is going on, which is pretty limited by the time we’re in first jhana 2) the body, but especially the energetic flow of the breathing and other forms of piti, and 3) our emotional state, which, when we’re in first jhana, is one of joy. In second jhana we tune out thought (or thought stops) and we’re just aware of the piti and joy. In third jhana we tune out the body and are just aware of joy. In fourth jhana we tune out joy and simply experience a deep sense of peace. That’s what I mean by jhana being focused on less and less. Great – thanks for the clarification! Its heartening to know that some teachers understand and teach Jhana practice. Wish I could practice with you and your community some time. Actualy I’m leading a retreat in Scotland in three weeks — but it’s been sold out for months. I will be leading another retreat from 22 July until 2 Aug next year. The retreat will be at Dhanakosa and it’s on the theme of insight meditation. If you contact them you can ask to be put on their mailing list. There are various ways into the ayatanas, but what I’ve found relatively easy and effective is to become aware of both inside and outside sensations at the same time, and to rest in an awareness of both. (Relax the eyes first.) If the mind gravitates toward inside or outside, let go of that activity and come back to rest in this simultaneous inside/outside awareness. While you’re doing this you can also become aware of the perceived boundary between inside and outside. Sit with an awareness of that boundary, and see what happens.